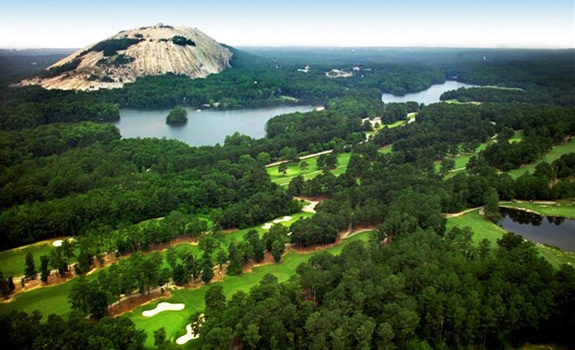 Built within the sprawling state park and in the shadows of the Georgia’s number one attraction, gigantic Stone Mountain, Robert Trent Jones and John LaFoy have created a dynamic duo of golf courses which are a perfect fit for guests of the park. 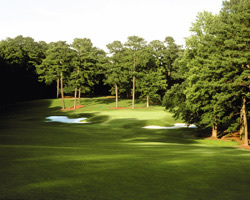 The Stonemont Course stretching from 5460 – 6863 yards is true to the design principles of Jones with canting fairways lined with stately trees and greensites fronted by pinching bunkers. The stern test, Stonemont begins with a brute of a par 5 that many consider the most difficult opening hole in all of Atlanta. 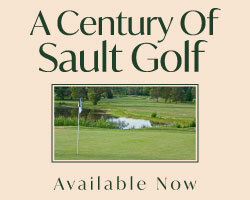 This testament to “old school” design uses the natural slopes to defend with very little influence from water or fairway bunkers. Forcing you to play to the correct side of the tight fairways to have a chance at avoiding the difficult green side bunkers is the key to this layout. Watch out for the devilish 11th and its fronting creek, steep rock wall and the sentinel trees in the middle of Hole 12. 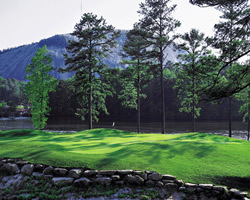 The Lakemont Course uses beautiful lake and mountain views to compliment the natural slopes and ridges. A little more forgiving than its older brother, playing 4742 – 6444 yards, this layout is a visual treat as well as solid test. Opening with the toughest hole on the course a beast of a par 5 hugging the lake to a green site in the shadows of the remarkable carving of Confederate Generals in the mountainside, the front nine has many greens that jut into the lake. The backside takes you back to the rolling hills featuring many elevation changes to make you think about club selection. Hole 11 is a sharp dogleg right that forces a carry over a former quarry site now filled with a menacing pond. This dynamic duo is part of the magnificent 3200 acre Stone Mountain State Park, centered by the spectacular granite monolith that draws crowds of tourists. 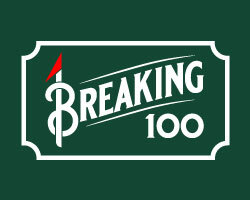 Providing a wide variety of family fun activities and attractions, ranging from hiking and cycling, to duck boat, railroad and gondola rides, to a high ropes adventure course and a nightly spectacular laser light show, just minutes from downtown Atlanta, this park will amaze with natural beauty and provide many cherished memories of your time spent there.